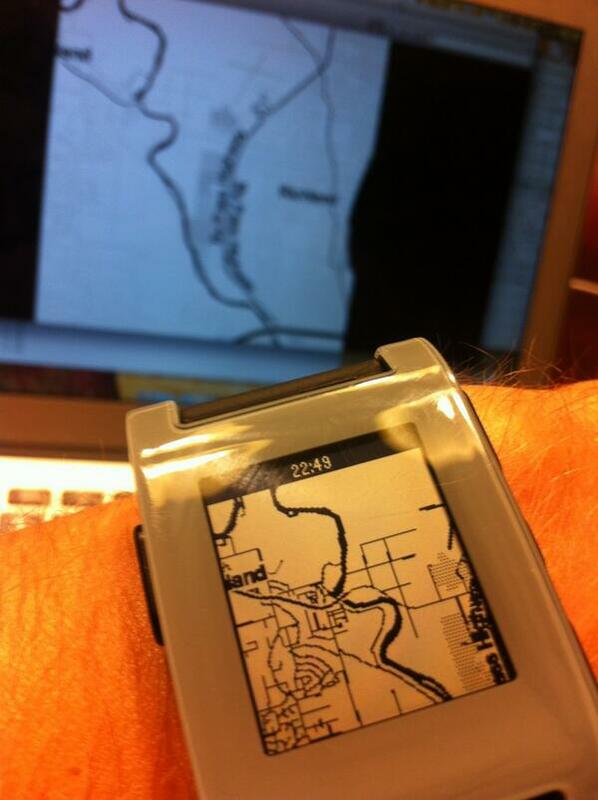 Wristmap is a Pebble watch app (and web service) that shows a map of your location using Stamen's Toner tileset. Wristmap uses HTTPebble to talk with the map service here (which then fetches tiles from Stamen's server on behalf of your watch) — so you'll also need need the Pebble Connect (Android) or httpebble (iOS) companion app running on your Pebble's tether device. Download the app above and install it to your watch using the main Pebble app. The up/down buttons will zoom the map. Copyright © 2013 Nathan Vander Wilt.